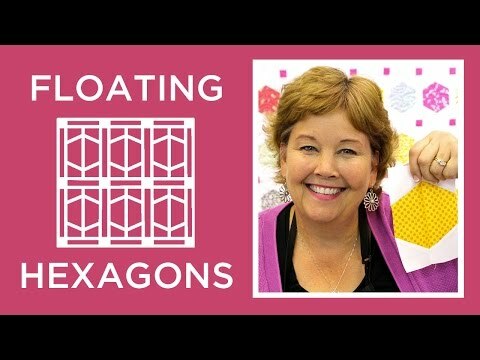 Floating Hexagons Pattern by Missouri Star - Missouri Star Quilt Co. - Missouri Star Quilt Co. The illusion of delicate hexagons floating through air was easily accomplished with nary a Y-seam! You’ll need a few packages of 5” squares, background fabric, and a little extra for cornerstones. Add our MSQC 5” Half-Hexagon Template and you can see this quilt swiftly come together. Finished Size: 56" x 78 1/2"